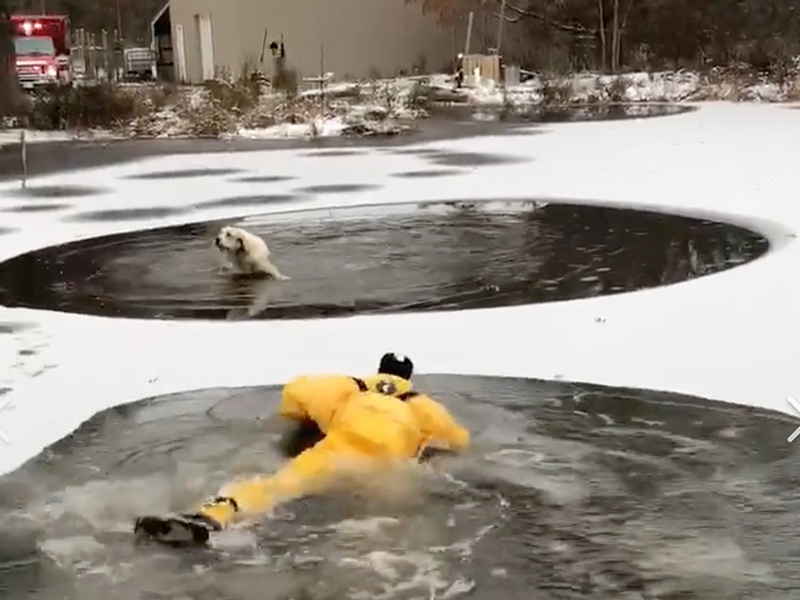 On Thursday afternoon, the Norton Fire Division in Northeast Ohio received a call regarding a dog that had fallen through a layer of ice and into a pond. Within minutes of receiving the call, crews arrived on the scene and jumped into action, Norton Fire Chief Mike Schultz said. 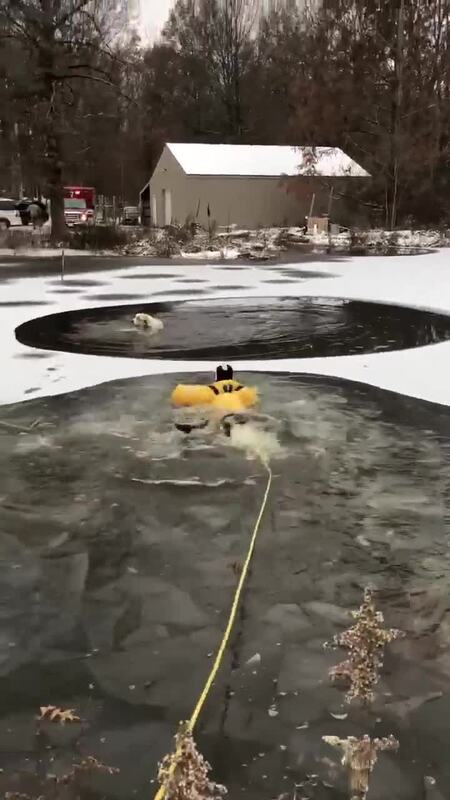 </p><p>Marty was able to reach the dog just in time.